Not you! It is the title of a book I just finished reading. 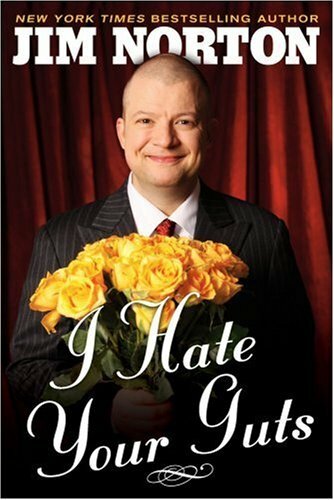 I Hate Your Guts is by Jim Norton. Jim is the 3rd microphone on the Opie and Anthony Show. If you know that show, then you know Jimmy Norton’s style of humor. He is fast and brutal. I heard a show a few months ago where he tore into Jesse Ventura and his 9/11 conspiracy nonsense with an attack that left the former Navy Seal looking like a complete dolt. I liked this book. Maybe not as much as his first book, but the chapters where he goes after Al Roker and Keith Olbermann for their phoney outrage over the Don Imus joke are brilliant. If mean-spirited humor makes you uncomfortable, do not read this book. If however, you think Joe Queenan is too nice, give it a read. Is this the same Jim I’ve been exchanging dialogue with? Might be fast and brutal but he sure is ugly. I have the perfect title for it. Everything from weightlifting to eating and investing. But you could also throw in some survival skills like how to double tap a 9mm Glock at fifty feet and field strip it. Maybe even have a page on skinning a squirrel in lean times.